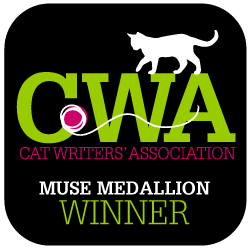 You know your cat is a total star -- mine are too. They like to think they're celebrities, anyway -- right? 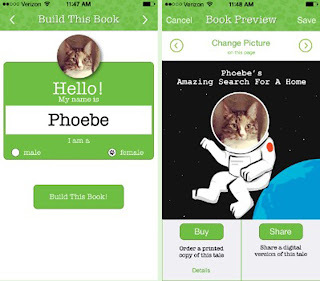 Well, now you can create a customized book starring your cat (or dog or rabbit or snake or guinea pig ... you get this picture) using the free Animal Tales iOS app that's available for iPhones and iPads in the iTunes store (Android app coming winter of 2015). It's from the same people who brought you ResQWalk, the app for iPhone and Android users that lets you raise money for your favorite rescue while you take your walk. I use it all the time, and I know some of you do too. If you don't, get on it! So I wanted to give Animal Tales a try, and Phoebe obliged. Well, I guess she didn't willingly oblige, but she's so used to my taking photos of her that she didn't bat an eye. "Here come the paparazzi again." 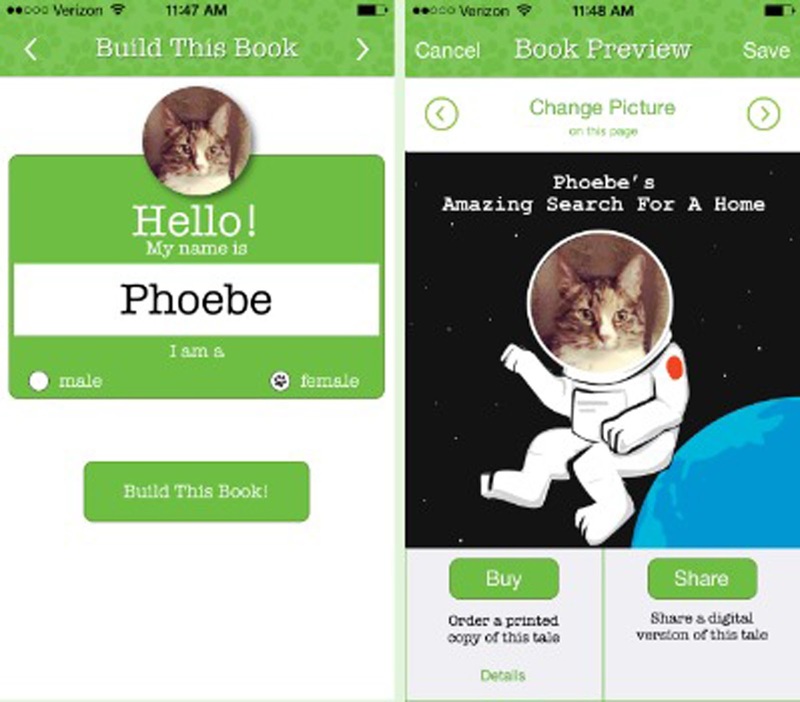 So I downloaded the app and chose one of three stories: "Your Pet's Amazing Search for a Home." All I had to do was upload a pic of Phoeebs, enter her name and that she's a female, and the app did the rest! Seriously, it was that easy. Going forward, there will be one story a week added to the catalog. After the book is completed, there's an opportunity to share it digitally with friends and family, or you can pay $12 (U.S. shipping included) for a 5"x5" softcover book. 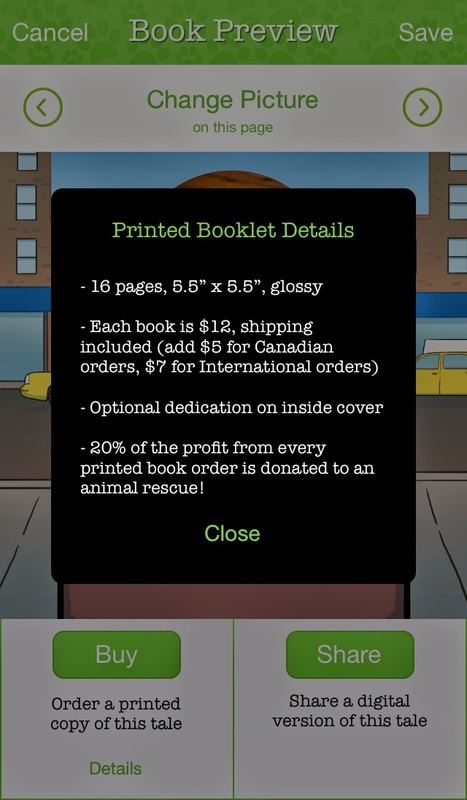 And it gets even cooler: If you choose to order the softcover book, 20% of the sales goes to benefit animal rescue. "Our vision with Animal Tales was to create a unique, easy-to-use product for animal lovers to have fun with," said Animal Tales founder Bailey Schroeder. "I think we've achieved that goal and I'm excited to see the response." If you're an iPhone or iPad user, check out the app here! You can also learn more about the Animal Tales on their site ... and don't forget to follow them on Twitter! This post is sponsored by Animal Tales. I was paid to blog about Animal Tales, but Catladyland only shares information and products we feel are relevant to our readers. Animal Tales is not responsible for the content of this article.